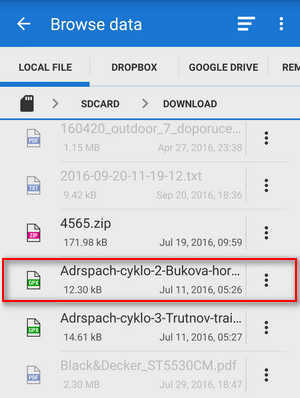 Can I import tracks and points into Locus Map? Of course you can and again, it's simple. Do you track your sports activity in Endomondo? 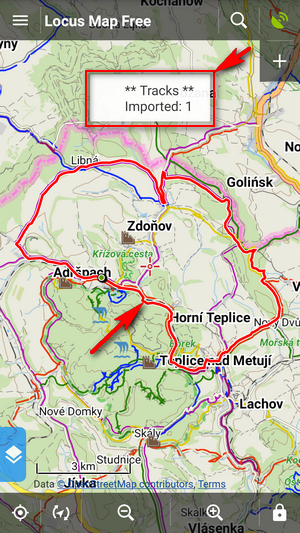 Do you plan your trips on Bikemap.net and want to display them in Locus Map? 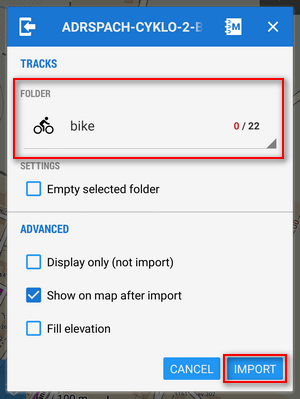 Find the desired gpx file, tap it and Locus Map will ask you what folder you want to store your track to. Either choose an existing one or make a new one. Tap Import and there you go! Your track appears on the map neatly centered on your screen. 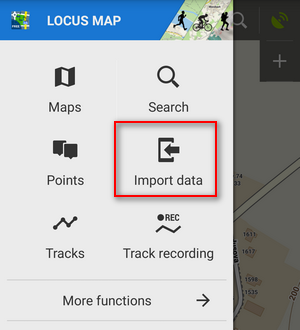 Locus Map supports a wide range of various data formats to import, as you can see in the Import chapters of Points and Tracks sections.